I know lots of people who aren't a big fan of berries and so this Pineapple, Ginger and Cream Trifle makes a great alternative to the more traditional Christmas Trifle. The flavours of this dish all merge really well together and compliment each other. The cream and juice from the pineapples softens the ginger snaps and gives them a really lovely, distinct texture. 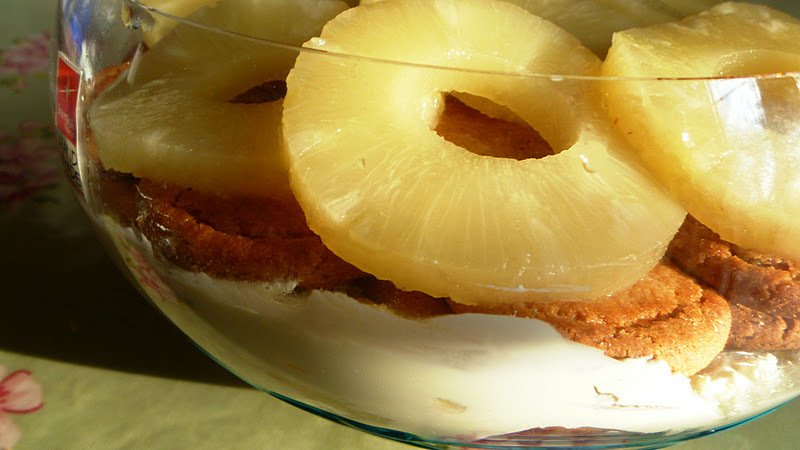 This dish is really cheap and easy to make as it is consists of just a tub of double cream, a tin of pineapple and a packet of ginger biscuits. My Pineapple, Ginger and Cream Trifle was featured on Nick Coffer's Weekend Kitchen on Three Counties Radio on the 10th December 2011. 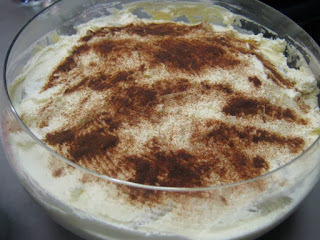 Notes: This dish can be made as a whole pudding or made in individual portions. Whip the cream together with the vanilla extract and caster sugar until the cream forms soft peaks. Put a layer of whipped cream into the bottom of a bowl or glass. 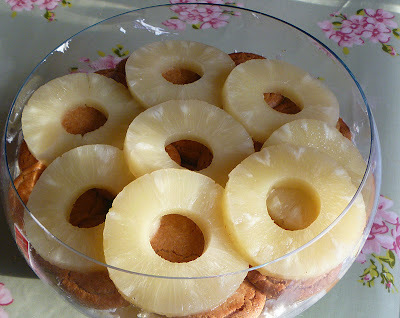 Add a layer of ginger snaps on top of the cream, and then add the sliced pineapple on top of the ginger snaps. You may want to add a couple of teaspoonfuls of juice over the top of the pineapple at this point. Repeat the process by building up layers of cream, ginger biscuits and pineapple until the container is full or the ingredients are all used up. Place the dessert in the fridge for a couple of hours before serving. Sprinkle with Cinnamon or grated Chocolate before serving.